This Paediatric First Aid Training Course is a QA Level 3 Award and is recognised by Ofsted and includes the requirements of the appointed person in the workplace. This 2 Day Paediatric First Aid QA Level 3 award course is suitable for school staff, child minders, nursery assistants and staff who look after children as part of their working requirements. It will be of particular interest to Child Minders, Teachers, Crèche Assistants and staff who have a responsibility for children whilst in their care. 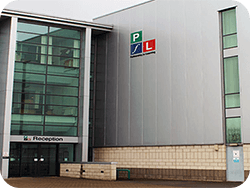 Liverpool Training Solutions are promoting Paediatric First Aid training throughout 2018 by running regular ‘Open Courses’ at the Partnership for Learning in Liverpool. This course is specifically aimed at Child Minders, Teachers, Crèche Assistants and staff who have a responsibility for children whilst in their care. This 2 Day Paediatric First Aid course can also be delivered directly in your workplace for 6-10 delegates for only £690.00 +Vat. 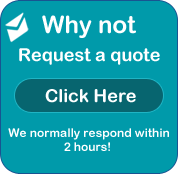 Delivered in Liverpool, Manchester and across North Wales. Call Janine or Mark on 0151 515 0416 for further details on our 2 Day Paediatric First Aid ‘Open Courses’ in Liverpool or to secure your first aid course. The Cost for the ‘Open Course’ per delegate is only £105.00 +Vat. The prevention of accidents is obviously preferable to giving first aid. Nothing can replace adequate supervision of a child in a friendly and relaxed environment. Now and again however, accidents and illness do happen and you may be called upon to give first aid to a child in your care. It is important therefore, to make a plan for how you would deal with such an emergency situation. The course is specifically designed for people looking after children as part of their work duties. It is ideal for childminders, nursery and pre-school workers, au pairs, nannies, sport and leisure staff, parents and anyone responsible for the welfare of children. Duration: 2 Days (2 x 6 hours) Normally 9:30am – 4:30pm – We are able to deliver this course at a time that will suit you and your working environment – please discuss your timings with us when you book this course. 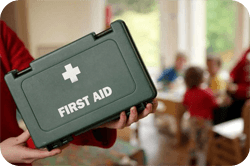 Paediatric First Aid Training in Liverpool – Course aims: This course will deliver emergency scenarios that are faced by many carers who look after young children in their daily duties. On completing the course delegates will be able to deal with most first aid incidents in their place of work confidently using their new found skills and knowledge. This Paediatric First Aid 2 Day course meets Ofsted requirements for Registered Childminders and the requirements for Nannies under the DfES Approved Carers Scheme. It can also be used as evidence for employees working towards an NVQ in Childcare and Education. This qualification also meets the criteria defined for first aid training in the Early Years Foundation Stage Statutory Framework (EYFS). Accreditation: Level 3 Award in Paediatric First Aid (RQF). On completion of the training successful trainees will receive an accredited first aid certificate qualification, Level 3 Award in Paediatric First Aid (RQF), Valid for 3 Years. 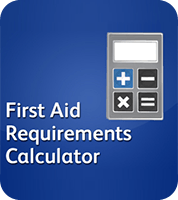 The qualification meets the criteria defined for first aid training in the Early Years Foundation Stage Statutory Framework (EYFS) and Ofsted first aid requirements for registered childminders. It can also be used as evidence for employees working towards an NVQ in Childcare and Education. A maximum of 12 people can be accommodated on this Paediatric First Aid training course and candidates must be aged 16 years or over. If you are an individual or only have a small number of delegates, we do offer the ‘Open Courses’ in Liverpool – ideal to send your delegates and cost effective to your business. For more information on our Paediatric first aid training courses delivered directly in your workplace anywhere in Liverpool, please email us or why not call us on 0151 515 0416 and speak to our experienced and friendly staff.